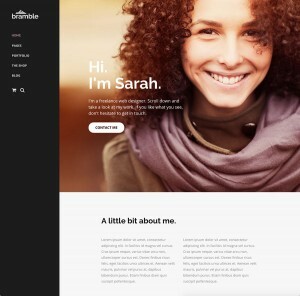 Choose from one of the nine pre-made home page layouts, or design your own using the page builder. 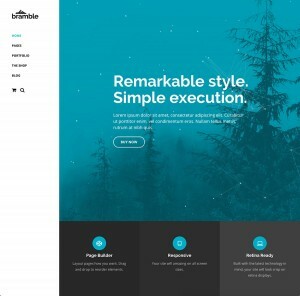 Features that allow you to build your website with ease. 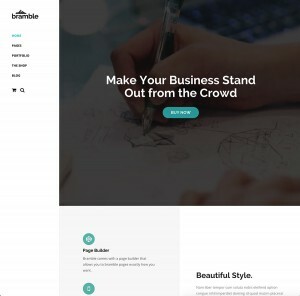 Bramble comes with a page builder that allows you to create pages exactly how you want. 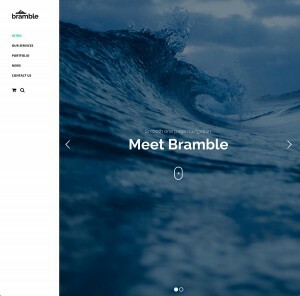 Bramble's layout adjusts to look great on any screen size or device. Bramble comes with plenty of useful options built right into the WordPress Customizer. 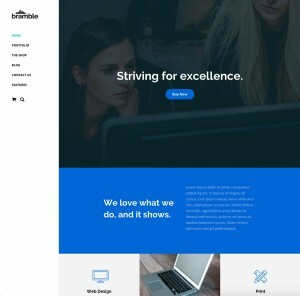 So you can give your site a unique look. Packed with several font based icon libraries for you to choose from. Customize the size and color. They'll look great on any display. The Page Builder lets you easily add parallax backgrounds to sections. Bramble comes bundled with the amazing Slider Revolution plugin, an $18 value. 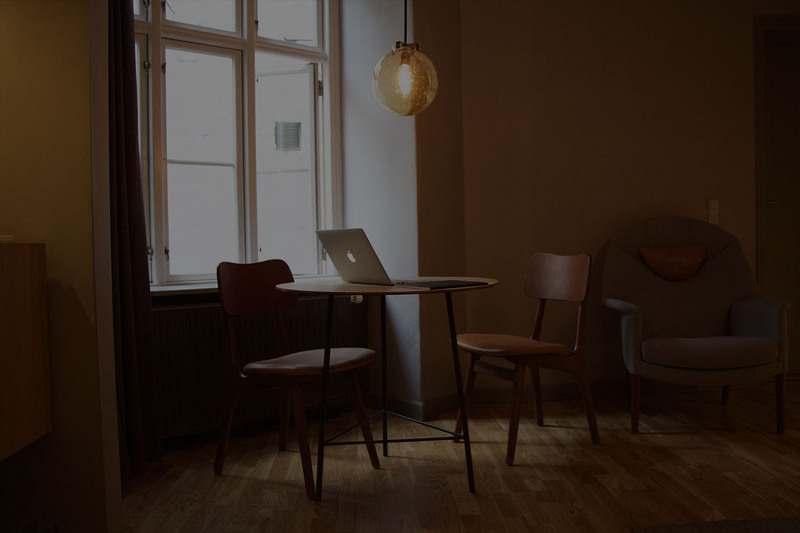 Use the intuitive interface to create stunning and engaging slideshows. Need a shop? 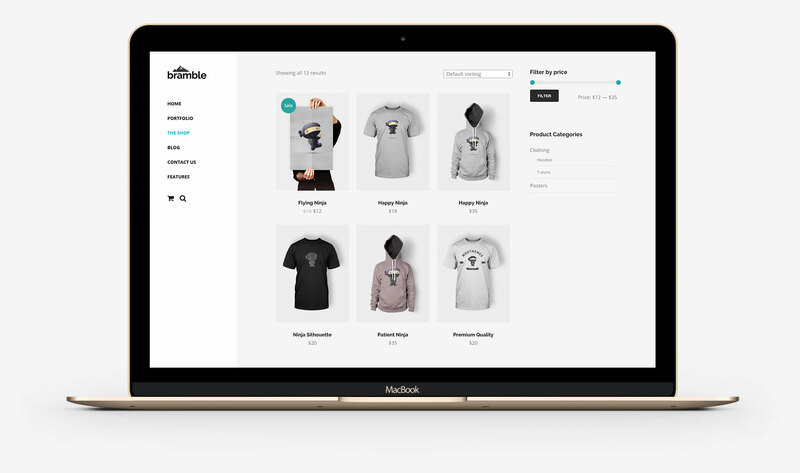 Bramble has seamless Woocommerce support built-in for easy online store setup. Build custom widget areas and assign them to footers or sidebars on individual pages. 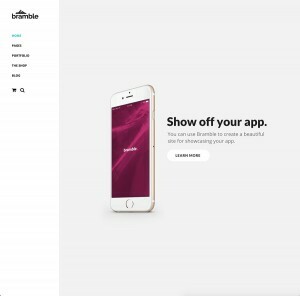 You can set custom colors for just about every aspect of the Bramble, giving you the ability to create truly unique websites. Bramble is compatible with WordPress Multilingual Plugin, making it easy to translate your site into different languages. 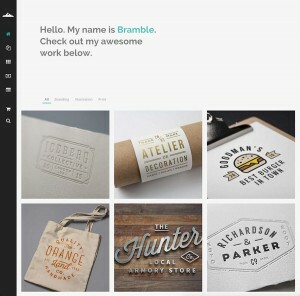 Bramble allows you to set a number of options on individual pages, posts, and projects. You can do things like disable the title area and footer, or even set a custom menu...and much more. Bramble comes bundled with two of the best plugins available. A $19 value! Slider Revolution gives you the tools to create stunning sliders for highlighting important content and engaging your visitors. 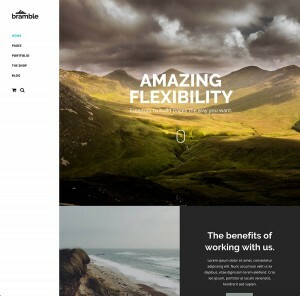 Bramble comes bundled with the powerful Page Builder by SiteOrigin. Build pages by adding rows and columns where you want them. Your imagination can run wild and create tons of unique layouts. 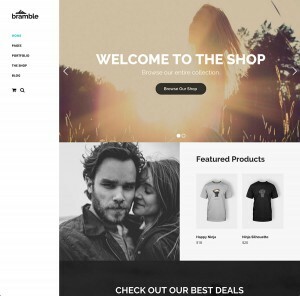 Bramble is Woocommerce ready. So setting up your online shop is simple and fun.